The farewell to The Meat Department show as Angus Beef is moving to the pacific northwest. Featuring The Meat Department, Smoky Mountain Skullbusters, Pinky Tuscadero's White Knuckle Assfuck, Unemployment Party, and Bomb Threat. 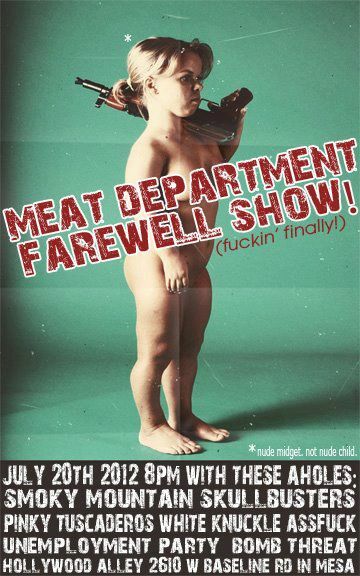 Come and see The Meat Department in what could potentially be their final AZ performance..